My long-time buddy Skip was the landowner, and he was a gracious host everywhere but in the woods. When it came to the actual killing of deer — the main point of our annual deer camp — he became a little squirrelly. Each year he'd give us a new set of antler restrictions and a "don't shoot pictorial," but basically, his rules were "Don't shoot anything except a mature doe (depending on which stand you were in) because it might ruin the property's big buck potential and therefore ruin the hunting." Hunting with Skip was dreadful, because I hunted in fear I'd make a mistake and not get invited back. That is no way to hunt. Twenty years ago it was mighty tough to keep the average hunter from dropping a 6-point buck on opening morning. Now it's the norm. Indeed, much of private-land-hunting America has gone nuts when it comes to managing deer for trophy potential, and Boone and Crockett harvest data suggests it's working. Even so, I wanted to know: Is there such a thing as over-managing? Will one high-potential buck that's shot prematurely have a negative impact on your property? Because this "micro-managing" is a complicated issue rooted in biology, I asked the experts. Macy Ledbetter is a former Texas Parks and Wildlife biologist turned private-lands consultant for over 100 landowners in the state. "I spend a large percentage of my time micro-managing deer herds, especially on smaller high-fenced properties where there's no other choice," Ledbetter said. "Yes, mistakes are made and they do have an impact, but one mistake isn't a deal-breaker." When clients do shoot an immature buck, Ledbetter recommends making the most of it by extracting the lower jaw for age verification, gathering weight data, and trying to locate that animal alive on any trail cams so hunters can tell if their management program is working. It will also make the hunter a better judge of deer in the future. "TPWD did some studies on the Mason Mountain WMA," Ledbetter said. "They found most bucks breed only a handful of does each fall in the wild. In other words, one dominant buck doesn't breed a herd of does, and all bucks participate in the rut to some degree. It comes down to more of a personality trait as opposed to size of antlers and age. Some bucks are lovers, some are fighters, and some simply want to be left alone. "...I've seen lifelong friendships destroyed because someone 'shot the wrong buck.' I have an acquaintance that filed charges against his best friend for shooting a buck without the landowner's permission! Deer management is not a perfect science..."
"So with the knowledge that most bucks only breed a small number of does, when mistakes are made in low numbers, they're not lethal to the entire program." Dr. James Kroll, also of Texas, is a biologist and a world authority on whitetails. He could overwhelm you with data and research, but his nonscientific opinion is telling. "I've been involved in deer management for over forty years and have many concerns for the future," Kroll said. "One of these is how people bring the same obsessive ways of modern, highly competitive life to what should be fun. I've seen lifelong friendships destroyed because someone 'shot the wrong buck.' I have an acquaintance that filed charges against his best friend for shooting a buck without the landowner's permission! Deer management is not a perfect science. We just try to be right more than we are wrong. One buck will not make or break a deer management program." But these guys are from Texas, where high fences and humans dominate. What about the rest of the free-range whitetail world? "Great strides have been made in private-land whitetail management," said Gordon Whittington of North American Whitetail. "Problem is, without a physical barrier, bucks are going to roam across property lines. And roaming bucks often fail to return." On small parcels where most Americans hunt, Whittington is convinced we're overestimating the benefits of micro-managing. "From a genetics standpoint, I don't see any practical harm in the loss of young bucks," he said. "Their genes are as randomly distributed as those of older bucks. Of course, high loss of bucks in general is unhealthy, from an overall population perspective. But as long as the total number of male deer lost in a given year isn't extreme, it's not a backbreaker for the herd itself. "If the herd is healthy overall, any young buck taken will certainly mean that it, specifically, will not reach its maximum trophy potential, but it can't make a lot of difference to the trophy potential of the herd." So what does the organization that is most responsible for the current micro-managing tendency say? 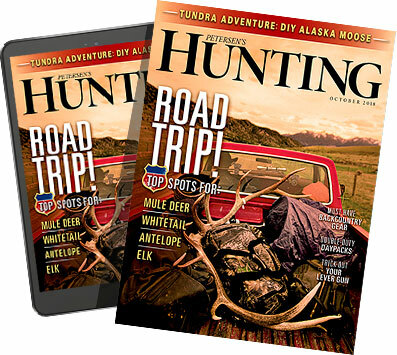 "Unlike elk that form herds where one male can dominate breeding, whitetails work solo which allows the majority of bucks in a given area to contribute genetically," said Brian Murphy, CEO of Quality Deer Management Association. "This breeding strategy, combined with the fact that does also play a significant role in genetic flow, maximizes genetic diversity and makes whitetails very resilient to harvest from a genetics perspective. Over the past several years, I've seen the pendulum swing from overly rigid management programs to those that were more flexible, especially for new hunters. This is a positive trend, as I believe deer managers should seek a balance between producing mature bucks and creating a program that measures success in memories rather than inches of antler." This is something on which most all whitetail experts agree. "Being too heavy-handed with buck standards turn off some new hunters and cause friction between neighbors," Whittington said. "I'd rather lose a few young bucks while gaining a few hunters — and some much-needed harmony — in the process."